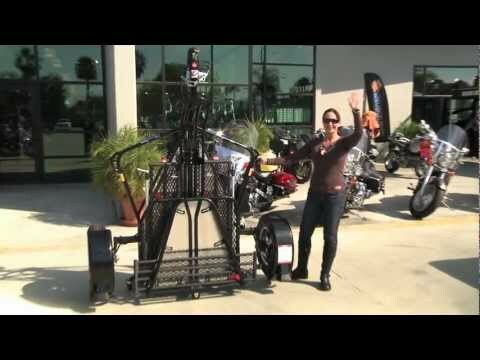 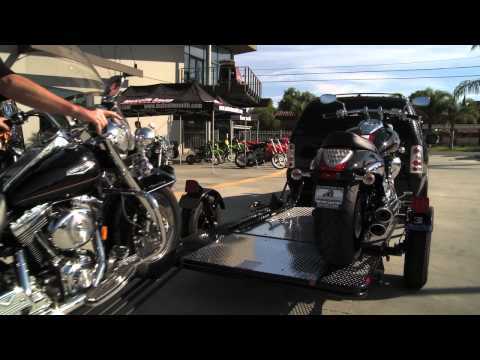 Trailer for Cruiser style bikes, including Harley and Goldwing, Sport Bikes and others. The Dual-Rail Folding Stand-Up™ Trailer is the workhorse of the Kendon line. 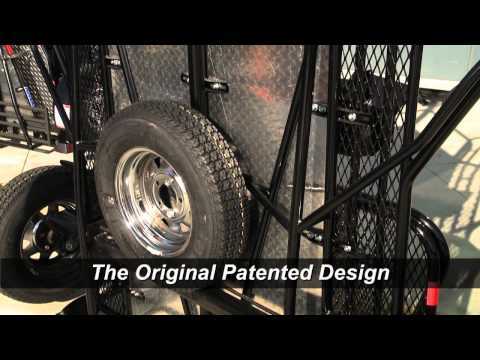 Tried and true, this trailer is built to last and has the outstanding features you’re looking for in a powersports trailer. 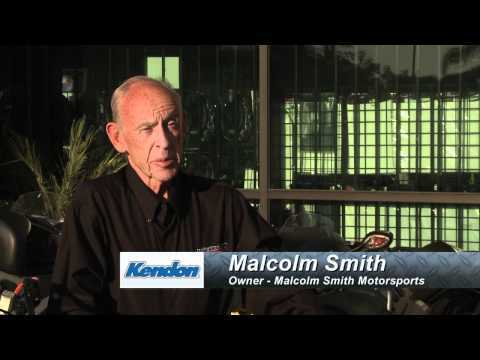 Add in Kendon’s unique space-saving stand-up design, and you can’t miss with this trailer. 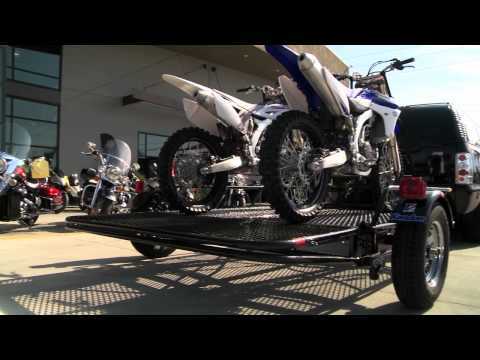 The Dual-Rail trailer carries two full-size motorcycles or, with the rails removed, can haul various types of cargo up to 2,000 lbs. 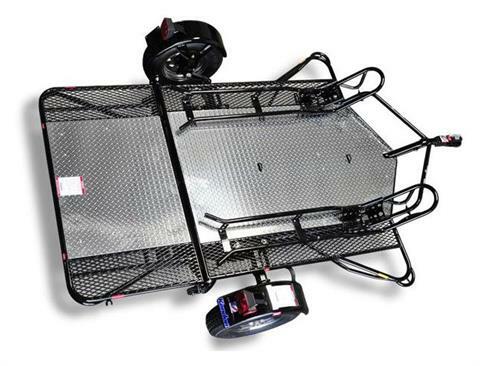 When in storage, the Dual-Rail Trailer takes up about the same space as a standard bedroom dresser or chest of drawers. 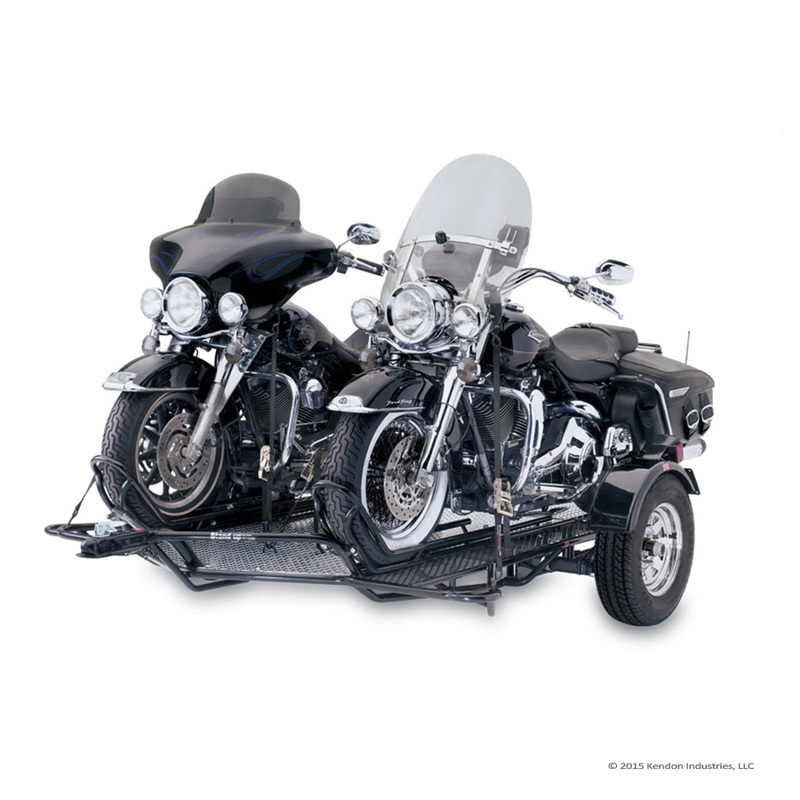 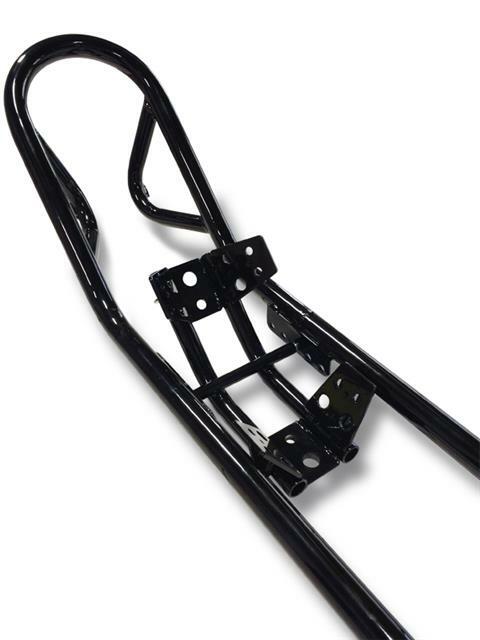 The Dual-Rail trailer features a wide expanded metal/diamond plate deck area designed to hold up to two full-size bikes such as Harley-Davidsons, GoldWings, K1600s, adventure bikes, etc. 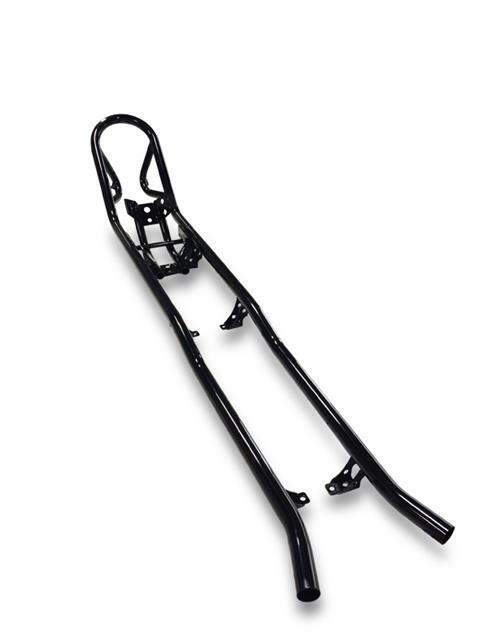 The heavy-duty torsion-bar axle and hub combination give the Dual-Rail its 2,000 lbs. 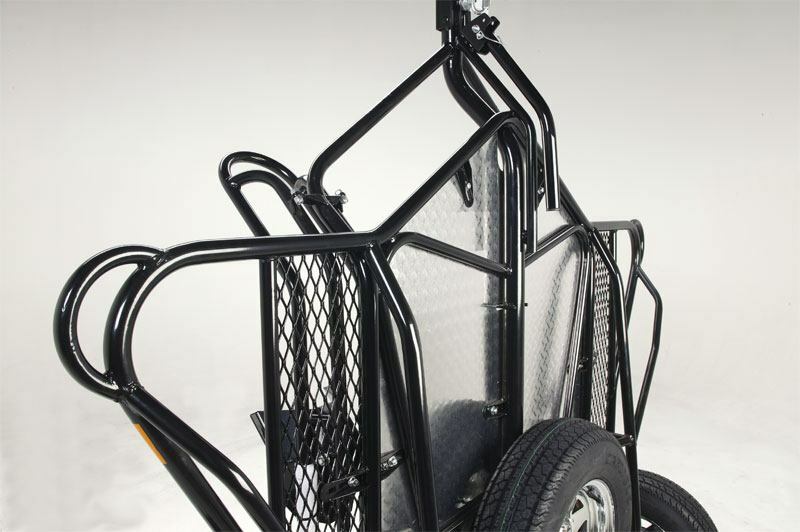 carrying capacity. 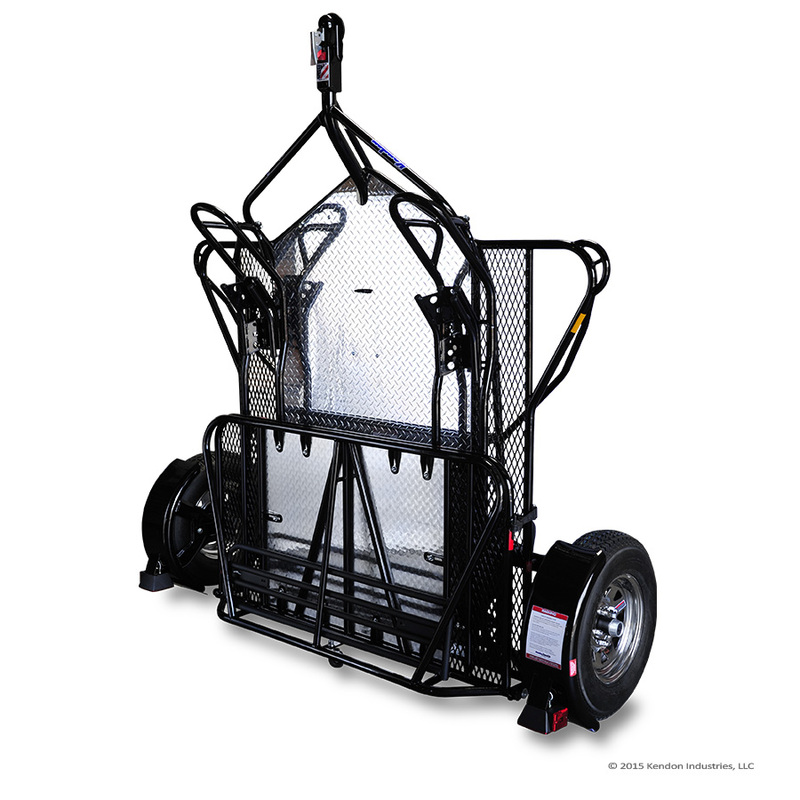 The Dual-Rail Folding Stand-Up™ Motorcycle Trailer is perfect for any rider – from moto to track, cruiser to sport. It combines lightweight, user-friendly, space-saving design with full-size-bike trailering capabilities.